Authors: Terekhovskaya Y.V., Okorokov V.G., Nikulina N.N. Pulmonary embolism (PE) is the third most common cardiovascular disease after myocardial infarction and stroke, and one of the leading causes of death in Europe. Aim. Analysis of the modern scientific base concerning the possibilities and limitations of use of anticoagulant therapy (ACT) at different stages of medical care in PE depending on risk stratification. The article reflects the position of modern Clinical guidelines, the results of recent studies and some controversial and unresolved issues of the ACT for PE. Conclusion. Currently, a sufficient evidence base has been obtained in favor of the fact that the ACT increases the survival rate of patients with past PE even taking into account an increase in the frequency of hemorrhagic complications; the choice of therapy schemes for PE is based on the stratification of the risk of patients; the schemes of the ACT for the acute period, for the subsequent prevention of relapses of PE are developed, the evidence of the expediency of its further prolongation (a study of rivaroxaban at a dose of 10 mg for prolonged therapy) is obtained. Use of direct oral anticoagulants (DOAC) in patients with past PE has a more optimal efficacy/safety profile compared to vitamin K antagonists (VCA). However, not all the issues of the ACT for PE are solved, therefore the prospects for the study and application of the ACT in PE include: reasonability of obtaining substantiated data on use of DOAC after thrombolysis, in patients with reduced renal function, with antiphospholipid syndrome, with neoplastic diseases, and also for determination of exact periods of extended therapy. It is necessary to search for additional prognostic factors for PE, to study and register specific antidotes for DOAC (currently in the Russian Federation a specific antidote to dabigatran – Idarucizumab-registered); to increase the share of DOAC in the ACT as drugs with a proven best profile efficacy/safety compared to VCA. pulmonary embolism, PE, anticoagulant therapy, vitamin K antagonists, direct oral anticoagulant, new oral anticoagulant, risk stratification. At present pulmonary embolism (PE) is the third most common cardiovascular disease after myocardial infarction and stroke, and one of the main causes of death in Europe . 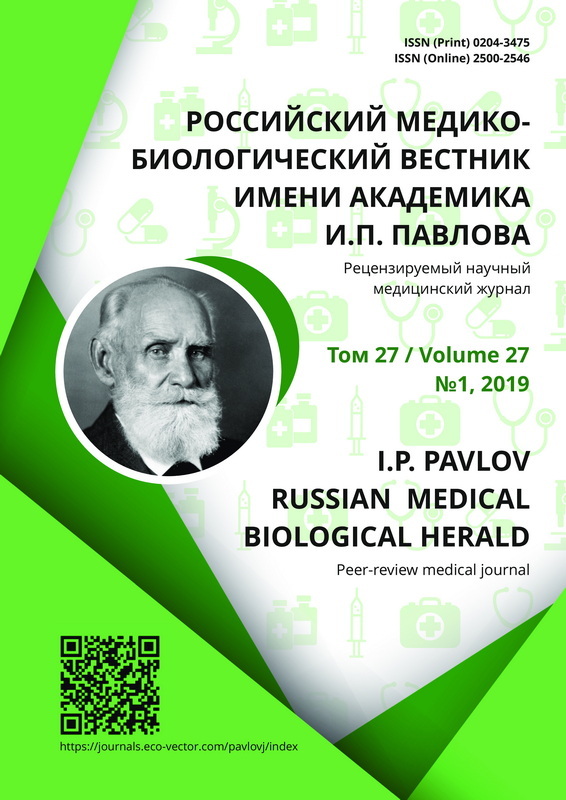 Up to the moment, due to some objective and subjective reasons, no exact statistics exists the Russian Federation (RF) on thrombosis of deep veins and PE [2-4]. According to A.L. Vyortkin et al. (2011), the rate of verified PE in autopsy exceeds 14% and is mostly diagnosed in patients with cardiovascular diseases . Pathogenetic basis for treatment and prophylaxis of PE is antithrombotic therapy that in all cases (with no contraindications) includes anticoagulant therapy (ACT) and on indications – thrombolytic therapy (TLT). Recently, antithrombotic therapy in PE has been actively studied in clinical research, therefore its schemes are regularly changed. The aim of work was analysis of the modern scientific base concerning possibilities and limitations of use of anticoagulants (parenteral, peroral) at different stages of medical assistance in PE depending of stratification of risk. Modern Clinical guidelines (CG) of PE conclusively insist on the necessity to start ACT in patients with a high and intermediate probability (by Wells, GENEVA scales) before termination of diagnostic search [1,6-8]. Here, in the majority of patients, low-molecular weight heparins (LMWH) or fondaparinux are preferable, since, according to the data of clinical research, they are associated with the lower risk of significant bleedings and thrombocytopenia. A limitation for use of LMWH and fondaparinux is a severe frustration of kidney function – glomerular filtration rate (GFR) <30 ml/min. In patients with moderate reduction in filtration function of kidney, correction of the dose is required: in GFR 30-50 ml/min – 50% reduction. In this situation the preference should be given to non-fractionated heparin (NFH) due to its short half-life period (Т1/2), which, taking into account its use in the form of infusion and the existence of antidote (protamine sulfate), permits fast interruption of the effect. Besides, NFH is preferable in patients with evident obesity. And, ultimately, the main parameter in favor of NFH in this category of patients is a high probability for conduction of TLT . According to modern CG, management of patients in the acute phase is defined not by the volume of damage of the pulmonary artery system, but by a risk of an early unfavorable outcome [1,6-8]. Patients in whom PE is manifested by hypotension or shock (drop of the blood pressure by 40 mm Hg within 15 minutes, or systolic blood pressure below 90 mm Hg) are under a high risk of death. These patients, besides hemodynamic support and oxygen therapy, require primary reperfusion. A preferable variant is systemic thrombolysis (class and level of evidence I,B, according to the European Society of Cardiology, ESC, 2014), in case of contraindications to TLT or its ineffectiveness surgical embolectomy is possible (I,С) or transcutaneous intervention (IIа,С) . For ACT in this group of patients NFH is recommended, since use of LMWH in patients with shock or hypotension is studied insufficiently. Besides, TLT is associated with a high risk of bleeding and a probable need for immediate interruption of the action of anticoagulant. In patients without shock/hypotension, after confirmation of the diagnosis of PE, stratification of the risk of early death should be implemented using PESI (Pulmonary Embolism Severity Index) scale or its simplified version – sPESI (Simpliﬁed Pulmonary Embolism Severity Index) . The risk of early unfavorable outcome is evaluated as low with I-II class according to PESI or 0 points according to sPESI scale. These patients are indicated administration of only ACT (without reperfusion therapy), here, an alternative to standard ACT may be use of direct oral anticoagulants (DOAC). Besides, CG of ESC (2014) consider a possibility of early discharge of this group of patients from hospital with continuation of their management in conditions of outpatient clinics . With III-IV class by PESI scale or with at least 1 point by sPESI scale, the risk is evaluated as intermediary . Resting on the results of a number of clinical examinations including PEITHO with comparison of ‘TLT + heparin’ and ‘placebo + hepain’ approaches in normotensive patients , ECS experts recommend additional stratification of risk on the basis of identification of signs of dysfunction of the right ventricle (RV) by the data of echocardiography or computed tomography, or of damage or overload of the myocardium (increase in the level of troponin or of natriuretic peptide, NUP). Patients with dysfunction of the RV or increased troponin should be referred to the category of intermediate-high risk . In such patients TLT showed advantage in terms of reduction of the risk for hemodynamic collapse, but at the price of increase in the rate of hemorrhagic strokes and intracranial hemorrhages . Therefore, in this group of patients the primary reperfusion cannot be recommended, but they require thorough monitoring of hemodynamics and reconsideration of reasonability of reperfusion in case of appearance of signs of instability of hemodynamics . Taking this into account, patients that are referred to the group with a possibility of conduction of TLT, should be preferably administered NFH. In literature, data of some research are presented concerninguse of reduced doses of recombinant tissue activator of plasminogen that showed a higher safety in patients with a moderate risk for PE . However, according to ECS experts (2014), selection of the approach to management of patients with intermediate-moderate risk requires further study . In patients with PEwho do not present with signs of RV dysfunction and/or increased troponin or NUP, the risk is evaluated as intermediate-low. Application of TLT in them is unreasonable, and according to the existing evidence data, only ACT is indicated . Since prophylaxis of PE relapses actually starts simultaneously with treatment of the episode of PE and requires a prolonged ACT, the transition from parenteral to peroral anticoagulants is inevitable. On the basis of several studies on application of DOAC in treatment for PE conclusions are obtained that these drugs do not yield to warfarin in effectiveness, and, probably, surpass the standard approach (heparin +VKA) in safety [1,6-8,12]. Thus, by the results of RE-COVER group of studies (total n=5 128 patients), the frequency of large bleedings with dabigatran did not differ from that with warfarin, but the total number of bleedings was lower [13,14]. In EINSTEIN-DVT and EINSTEIN-PE studies with rivaroxaban (total n=8 282 patients) the same rate of large and small, but clinically significant bleeding was recorded, however, large bleedings were less common than in the group with warfarin [15,16]. According to AMPLIFY study (n = 5395), with apixaban somewhat lower amount of large bleedings were recorded, and a significantly less total number of large and clinically significant moderate bleedings . Therefore, in recommendations of ESC (2014), DOAC are considered as an alternative to standard approach (Fig. 1) . To note, in the mentioned studies apixaban and rivaroxaban were used immediately after the moment of determination of indications to VKA both with and without simultaneous introduction of parenteral anticoagulants [15-17], while dabigatran was administered after ≥5 days of use of parenteral anticoagulants [13,14]. This was reflected in schemes for application of DOAC in PE in CG . Thus, dabigatran was recommended at a dose of 150 mg twice a day (110 mg twice a day in patients ≥80 years old or with a concurrent intake of verapamil) after interruption of intake of parenteral anticoagulants in the acute phase (I,B) . It is possible to shift to rivaroxaban or apixaban as early as within the first two days after parenteral ACT: rivaroxaban is recommended at a dose of 15 mg twice a day within 3 weeks with subsequent transition to 20 mg once a day (I,B), apixaban – at a dose of 10 mg twice a day within 7 days, with further transition to 5 mg twice a day (I,B) . The fourth DOAC mentioned in the international clinical guidelines [1,6,7] –edoxaban – was studied in Hokusai-VТЕ research (n=8 240) , but at the moment of preparation of the given work for publication it was not registered in the RF. Its intake scheme is close to that of dabigatran – transition to it in the acute phase after parenteral ACT . Thus, from the point of view of convenience of transition to the maintaining dose the most preferable is the scheme of intake of apixaban – 7 days (in the RF this is the period of standard management of a patient in hospital), and of dabigatran (immediately after parenteral ACT, that is, also within the hospitalization period, while with rivaroxaban transition is performed after 3 weeks, and here not only the dose must be changed (from 15 mg to 20 mg), but also the frequency of intake (from twice a day to once a day) which requires a high level of interaction of a physician with a patient at the stage of outpatient observation. On the other hand, only rivaroxaban (the only DOAC registered at present in the RF) has a maintaining dose that requires intake once a day which predetermines a probability for a higher adherence of patients to a long intake of rivaroxaban. The evidence base for use of rivaroxaban in PE also has certain limitations. Thus, not a single DOAC has been studied for a case of suspicion of PE, and no sufficient data exists on use of drugs in patient with disorders in kidney function. In view of this, treatment with DOAC should be delayed until confirmation of the PE diagnosis and obtaining the data about glomerular filtration rate of the patient. According to CG of ESC (2014), DOAC should not be used in patients with a severe chronic kidney disease (GFR<30 ml/min for rivaroxaban, <25 ml/min for apixaban; III,А) . To note, in the instruction to rivaroxaban and apixaban a contraindication to their use is mentioned – creatinine clearance <15 ml/ml, below this level correction of the dose in patients with PE is not required [19-21]. However, it should be remembered that a sufficient amount of patients with disorders in kidney function and a special renal dose are studied only for rivaroxaban, and only in patients with fibrillation of atria , while there is no sufficient evidence base for patients with PE and expressed dysfunction of kidneys. Besides, it is obligatory to take into account the parameters of liver function. In patients with class C hepatic failure by Child-Pugh scale all DOAC are contraindicated, with class B hepatic failure it is possible to use apixaban and dabigatran (rivaroxaban is contraindicated). If the scale parameters are changed in result of treatment, the therapy may be reconsidered [1,22]. The question of the time of transition to DOAC after TLT also remains unclear, since such patients were not included into study of any DOAC. There exist data of only one small study of application of rivaroxaban in 24 hours after TLT in a half dose of tissue activator of plasminogen that showed efficacy and safety of this kind of treatment . There is no sufficient data on the efficacy and safety of DOAC in patients with antiphospholipid syndrome (APLS) which is one of factors for development of PE. In TRAPS study, rivaroxaban was associated with increased risk of unfavorable events (death, thrombosis, large bleedings) in patients with high risk of APLS as compared with warfarin . All DOAC are contraindicated in pregnancy due to their ability to cross hematoplacental barrier, such patients should be kept on NFH or LMWH (with obligatory control of the peak of anti-Xa activity in 4-6 hours after introduction) over the whole period of pregnancy and after renewal of warfarin intake after deliveries . In individuals with PE and oncological diseases, ESC (2014) recommends dalteparin to be taken, American College of Chest Physicians (АССР) gives reference to LMWH and DOAC in comparison with warfarin [6,8]. This is because LMWH are associated with reduction of risk of thromboembolic complications without any significant increase in the rate of large bleedings in comparison with VKA . As to DOAC, rivaroxaban and edoxaban in SELECT-D and HOKUSAI-Cancer researches respectively demonstrated a lower amount of PE relapses, but at the price of increase in the rate of large bleedings, especially in patients with an oncological process localized in the gastrointestinal tract (GIT) or urogenital tract (UGT) [26,27]. International Society on Thrombosis and Hemostasis, in CG of 2018, suggests a probability for use of DOAC (edoxaban and rivaroxaban) in treatment for PE of oncological patients with a low risk of bleeding after discussion with a patient of reasonability of potential risk of relapse at the expense of increase in potential risk of bleeding. At present a publication is awaited with the results of CARAVAGGIO study for comparison of apixaban and deltaparinin patients with PE associated with an oncological disease. In patients with a high risk of bleeding (tumors of GIT with exophytic growth, tumors of UGT, pathology of GIT mucosa) LMWH should be used . Reasonability of prolonged ACT in PE is determined depending on the existence of a provocative risk factor (RF), its character and removability, frequency of PE episodes, risk of bleedings. The risk of relapse of thromboembolic complications is minimal in case of presence of a large transient RF (especially of a surgical one) – 1% in the first year (3% within 5 years), a little higher with non-surgical risk factors (which is partially associated with their difficult removability – 3% in the first year (15% within 5 years). The risk of relapse is highest in patients with ‘non-provoked’ PE - 10% within the 1st year (30% within 5 years) and in those in whom a RF persists or even builds up – more than 10% for the 1st year . According to ESC guidelines (2014), the patients with reversible RFs should receive ACT within 3 months. Prolonged therapy is recommended to patients with the first episode of ‘non-provoked’ PE and with a low risk of bleeding (IIa,В). Indefinitely long, probably life-long ACT is recommended to patients with a relapse of ‘non-provoked’ PE (I,B) or to individuals with APLS, with deficit of proteins C and S, to homozygotes for factor V Leiden or for G20210А prothrombin . At present patients with oncological diseases are recommended therapy with LMWH within 3-6 months with prolongation for indefinite period or until recovery from tumor (IIа,В) . In case of prolonged ACT for prevention of relapses of PE, a regular assessment of the risk/usefulness ratio is required for timely changing the decision if necessary (I,C) . ACCP distinguishes a number of risk factors (Table 1), absence of which in a patient permits to refer him to the category of lower risk of large hemorrhages, presence of one factor refers a patient to the group of moderate risk, ≥2 (or 1 evident RF) – to the group of higher risk of damages . It should be taken into account that risk of relapse of thromboembolic complications again increases in 6-12 months after cessation of ACT . The consensus of ACCP says that the additional factors that speak in favor of prolongation of ACT may be male gender and the level of D-dimer in a month after cessation of ACT. However, it is noted that at the moment the evidence base for the given approach is insufficient and cannot serve the ground for their inclusion into CG . In prolonged therapy for venous thromboembolic complications, besides VKA, there were also studied rivaroxaban, apixaban and dabigatran which showed efficacy and safety comparable with those of warfarin [31-33]. According to ESC (2014), DOAC may be an alternative to warfarin in prolonged ACT for PE excluding patients with severe renal insufficiency . According to ACCP (2016), DOAC is more preferable than VKA in a prolonged prophylaxis of PE relapses . The joint analysis of EINSTEIN EXT and CHOICE studies showed that reduction in the dose of warfarin reduces the efficacy of treatment, but does not influence the rate of bleedings. With this, a sufficient evidence base isaccumulated in favor of probable reduction of DOAC dose in prolongation of ACT for PE. Thus, in AMPLIFY EXT research, apixaban at a dose of 2.5 mg twice a day was comparable in efficacy with a standard therapeutic dose (5 mg twice a day), but caused a little less number of large bleedings. The dose of rivaroxaban 10 mg/day showed itself to be not worse than the recommended dose 20 mg/day [32,33]. This permits to think it possible to reduce the doses of rivaroxaban and apixaban in 6 months of ACT for PE. The dose of rivaro-xaban 10 mg has been recently registered in the RF for treatment of PE . If a patient develops a relapse of PE with the underlying intake of warfarin or DOAC, it is proposed to transfer him to LMWH; if the patient has already received LMWH before, the dose should be increased. Here, it should be clarified whether this is really a relapse, whether the patient received adequate anticoagulant therapy, if he has an oncological disease, APLS or other conditions that influence coagulation . The present use of warfarin as the only representative of VKA is due to its best safety profile in comparison with representatives of its class. However, in comparison with other classes of peroral anticoagulants, warfarin, as it was mentioned earlier, is considerably inferior to them in terms of efficacy/safety ratio [1,6-8]. From the point of view of pharmacodynamics this can be explained by the fact that all DOAC have one application point – II or Xa coagulation factor, while warfarin is responsible for inactivation of four factors of coagulation system (II, VII, IX, X), and, besides, can inactivate factors of anticoagulation system, for instance, C and S proteins, which is one of the reasons for administration of heparin in the first days of intake of warfarin. The ability of warfarin to inactivate natural anticoagulants underlies such side effect of warfarin as coumarinic necrosis of skin (occurring in patients with deficit of S and C proteins) . Mechanism of action of warfarin mediated through vitamin K, makes its efficacy dependent on entry, and, to be more exact, on stability of entry of vitamin K from the outside, which makes it necessary to repeatedly educate patients in this aspect, and increases adherence of patients not only to medicinal therapy, but also to dietary habits. The main enzyme of biotransformation of warfarin in the liver is isoenzyme of Р-450 CYP2C9 cytochrome, and the target molecule is 1 subunit of vitamin K-epoxide-reductase complex (VKORC1). At present the dose of warfarin is proved to be genetically determined. It is polymorphisms of CYP2C9 and of target molecule VKORC1 that is responsible for differences in the individual maintaining dose of warfarin . According to E.S. Kropacheva et al., about 20% of the Russian population have maximal (judging by the results of genotyping of CYP2C9 and VKORC1) sensitivity to warfarin . Dependence of biotransformation of warfarin on cytochrome P-450 (the main catalyzer of metabolism for S-enantiomers of warfarin – CYP1A2 and for R-enantiomers – CYP1A2 and CYP3A4 ), presence of strong inhibitors and inductors of these enzymes in medical drugs and food products  and a high rate of comorbid pathology [5,36], predetermine numerous clinically significant drug interactions of warfarin  which must be taken into account by any specialist who manages a patient taking warfarin. The first peculiarity of pharmacokinetics of DOAC is their significantly shorter half-life period (Т1/2) [22,34], which provides a clinically significant improvement of hemostasis as early as in 12-24 hours after a skip of the next DOAC dose . However, this information is obtained in the population of patients taking DOAC for atrial fibrillation (not for PE) and is reflected in the respective clinical guidelines. The question whether these data could be justifiably extrapolated to the situation with PE, or additional clinical/pharmacokinetic studies are required, remain open. It is also known that apixaban and rivaroxaban are substrates of CУP3A4 enzyme (which is responsible for 25% and 8% of their metabolism, respectively) , and, taking into account a great share of this enzyme in cytochrome P-450 system and absence of any dependence on the genetics of the patient, the probability for drug interactions mediated through this way, may be considered clinically insignificant. Nevertheless, the question, if this conclusion can be extended on the clinical situations with receiving several substrates of CУP3A4 enzyme and/or several inhibitors of CУP3A4, remains without answer. It is also known that all registered DOA are substrates of P glycoprotein (Pgp, synonym: multiple drug resistance protein 1 (MDR1)) which predetermines clinically significant drug interactions. For example, for dabigatran it is a drug interaction with verapamil; for dabigatran, rivaroxaban and edoxaban – with dronedarone; for edoxaban – with clarithromycin and erythromycin, etc.) . Moreover, one should acknowledge that information of drug interaction of DOAC is obtained from different studies, without direct comparisons which makes presentation of their significance within one table complicated and often unjustified . The problem of drug interactions mediated by Pgp, is now being actively studied, and for DOAC as well [38,39], therefore this information is likely to be supplemented in the near future. Factors that increase safety of using DOAC, undoubtedly include specific antidotes to them. At present in the RF a specific antidote to dabigatran is registered – idarucizumab , and studies of antidotes for direct inhibitors of Xa (for example, andexanet alfa) and of antidotes blocking any of the registered DOAC (for example, aripasin), are being continued . In the RF the first specific antidote for direct oral anticoagulant (dabigatran) – Idarucizumabis registered. However, far not all the problems of anticoagulant therapy in PE are solved. Thus. Warfarin with considerably poorer efficacy/safety profile remains the most commonly administered (for non-medical indications) preparation. 5) Increase in the share of direct oral anticoagulants in therapy of PE as drugs with proven better efficacy/safety profile. Konstantinides S, Torbicki A, Agnelli G, et al. 2014 ESC Guidelines on the diagnosis and management of acute pulmonary embolism. The Task Force for the Diagnosis and Management of Acute Pulmonary Embolism of the European Society of Cardiology (ESC). Endorsed by the European Respiratory Society (ERS). Eur Heart J. 2014;35: 3033-69. doi: 10.1093/eurheartj/ehu283. Boytsov SA, Nikulina NN, Yakushin SS, et al. Patologo-anatomicheskoe issledovanie v analize smertnosti naseleniya ot serdechno-sosudistykh zabolevaniy. Arkhiv patologii. 2011;73(1):30-3. (In Russ). Boytsov SA, Nikulina NN, Yakushin SS, et al. Mesto autopsii sredi sovremennykh metodov diagnostiki serdechno-sosudistykh zabolevaniy (po rezulʹtatam rossiyskogo mnogotsentrovogo ehpidemiologicheskogo issledovaniya zabolevaemosti, smertnosti, kachestva diagnostiki i lecheniya ostrykh form IBS «REZONANS»). Serdtse: zhurnal dlya praktikuyushchikh vrachey. 2010;9(4):231-3. (In Russ). Vertkin AL, Rumyantsev MA, Skotnikov AS. Komorbidnostʹ v Klinicheskoy praktike. Chastʹ 2. Arkhiv vnutrenney meditsiny. 2011;2:20-4. (In Russ). Kearon C, Akl EA, Ornelas J, et al. Antithrombotic Therapy for VTE Disease. CHEST Guideline and Expert Panel Report. CHEST. 2016;149(2):315-52. doi: 10.1016/j.chest.2016.08.1442. Witt DM, Nieuwlaat R, Clark N P, et al. American Society of Hematology 2018 guidelines for management of venous thromboembolism: optimal management of anticoagulation therapy. Blood Advances. 2018;2(22):3257-91. doi: 10.1182/bloodad-vances.2018024893. Bokeriya LA, Zatevakhin II, Kiriyenko AI, et al. Rossiyskie klinicheskie rekomendatsii po diagnostike, lecheniyu i profilaktike venoznykh tromboehmbolicheskikh oslozhneniy (VTEHO). Flebologiya. 2015;9(4):2-52. (In Russ). Sharifi M, Bay C, Skrocki L, et al. Moderate pulmonary embolism treated with thrombolysis (from the «MOPETT» Trial). Am J Cardiol. 2013;111(2): 273-7. doi: 10.1016/j.amjcard.2012.09.027. Kropacheva ES, Borovkov NN, Vavilova TV, et al. Bystrye tempy nasyshcheniya varfarinom – prediktor razvitiya chrezmernoy gipokoagulyatsii. Modernizatsiya algoritma podbora dozy varfarina. Aterotromboz. 2015;1:74-86. (In Russ). Agapov AB, Suchkov IA, Ryabkov AN. Direct oral anticoagulants in patients with deep vein thrombosis of the lower extremities. Science of the Young (Eruditio Juvenium). 2016;2:147-57. (In Russ). Schulman S, Kearon C, Kakkar AK, et al. Dabigatran versus warfarin in the treatment of acute venous thromboembolism. N Engl J Med. 2009;361 (24):2342-52. doi: 10.1056/nejmoa0906598. Schulman S, Kakkar AK, Goldhaber SZ, et al. Treatment of acute venous thromboembolism with dabigatran or warfarin and pooled analysis. Circulation. 2014;129(7):764-72. doi: 10.1161/circulatio-naha.113.004450. Bauersachs R, Berkowitz SD, Brenner B, et al. Oral rivaroxaban for symptomatic venous thromboembolism. N Engl J Med. 2010;363(26):2499-510. doi: 10.1056/nejmoa1007903. Buller HR, Prins MH, Lensin AW, et al. Oral rivaroxaban for the treatment of symptomatic pulmonary embolism. N Engl J Med. 2012;366(14):1287-97. doi: 10.1056/nejmoa1113572. Agnelli G, Buller HR, Cohen A, et al. Oral apixaban for the treatment of acute venous thromboembolism. N Engl J Med. 2013;369(9):799-808. doi: 10.1056/nejmoa1302507. Buller HR, Decousus H, Grosso MA, et al. Edoxaban versus warfarin for the treatment of symptomatic venous thromboembolism. N Engl J Med. 2013;369 (15):1406-15. doi: 10.1056/NEJMoa1306638. Instruktsiya po meditsinskomu primeneniyu lekarstvennogo preparata Xarelto® 10 mg. Registratsionnyy nomer LSR-009820/09. (In Russ). Instruktsiya po meditsinskomu primeneniyu lekarstvennogo preparata Xarelto® 15 or 20 mg. Registratsionnyy nomer LP-001457. (In Russ). Instruktsiya po meditsinskomu primeneniyu lekarstvennogo preparata Eliquis® 2,5 mg. Registratsionnyy nomer LP-001475-030212. (In Russ). Sharifi M, Bay C, Schwartz F, et al. Safe-dose thrombolysis plus rivaroxaban for moderate and severe pulmonary embolism: drip, drug, and discharge. Clin Cardiol. 2014;37(2):78-82. doi: 10.1002/clc.22216. Pengo V, Denas G, Zoppellaro G, et al. Rivaro-xaban vs warfarin in high-risk patients with antiphospholipid syndrome. Blood. 2018;132(13):1365 -71. doi: 10.1182/blood-2018-04-848333. Young AM, Marshall A, Thirlwall J, et al. Comparison of an Oral Factor Xa Inhibitor With Low Molecular Weight Heparin in Patients With Cancer With Venous Thromboembolism: Results of a Randomized Trial (SELECT-D). J Clin Oncol. 2018;36(20):2017-23. doi: 10.1200/JCO.2018.78.8034. Raskob GE, van Es N, Verhamme P, et al. Edoxaban for the Treatment of Cancer-Associated Venous Thromboembolism. N Engl J Med. 2018;378: 615-24. doi: 10.1056/NEJMoa1711948. Khorana AA, Noble S, Lee AYY, et al. Role of direct oral anticoagulants in the treatment of cancer‐associated venous thromboembolism: guidance from the SSC of the ISTH. J Thromb Haemost. 2018;16:1891-4. doi: 10.1111/jth.14219. Schulman S, Kearon C, Kakkar AK, et al. Extended use of dabigatran, warfarin, or placebo in venous thromboembolism. N Engl J Med. 2013;368(8):709-18. doi: 10.1056/nejmoa1113697. Prins MH, Lensing AWA, Prandoni P, et al. Risk of recurrent venous thromboembolism according to baseline risk factor profiles. Blood Advances. 2018; 2:788-96. doi: 10.1182/bloodadvances.2018017160. Instruktsiya po meditsinskomu primeneniyu lekar-stvennogo preparata Warfarin Nycomed ® 2,5 mg. Registratsionnyy nomer LSR-006342/10. (In Russ). Guide_Russian.pdf Accessed: 15 Jan 2019. (In Russ). Luk’yanov MM, Boytsov SA, Yakushin SS, et al. Сoncomitant cardiovascular diseases and antihypertensive treatment in outpatient practice. Ratsio-nal’naya farmakoterapiya v kardiologii. 2016; 12(1):4-15. (In Russ). Bel’diyev SN, Medvedeva IV, Platonov DYu. Drug interactions of new oral anticoagulants: inside and outside the table cells. Ratsional’naya farmakoterapiya v kardiologii. 2017;13(5):716-24. (In Russ). doi: 10.20996/1819-6446-2017-135-716-724. Biological Herald. 2015;23(3):49-53. (In Russ). Shchul’kin AV, Yakusheva EN, Popova NM. The role of Glycoprotein-P in rational pharmacotherapy in cardiology. Ratsional’naya farmakoterapiya v kardiologii. 2013;9(6):701-7. (In Russ). Instruktsiya po meditsinskomu primeneniyu lekar-stvennogo preparata Praxbaynd® 2,5 g. Registra-tsionnyy nomer LP-005017. (In Russ). Khorev NG, Momot AP, Konʹkova VO. Antidotes to novel direct oral anticoagulants. Angiology and Vascular Surgery. 2016;22:177-83. (In Russ). Copyright (c) 2019 Terekhovskaya Y.V., Okorokov V.G., Nikulina N.N.